Avens Publishers will support authors by posting the published version of articles by NIH grant-holders to PubMed Central immediately after publication. Submitted articles should have a summary/abstract, separate from the main text, of up to 300 words. This summary does not include references, numbers, abbreviations or measurements unless essential. The summary should provide a basic-level introduction to the field; a brief account of the background and principle of the work; a statement of the main conclusions; and 2-3 sentences that place the main findings into a general context. The text may contain a few short subheadings of not more than 40 characters each. All submissions should be accompanied by a 500 word or less cover letter briefly stating the significance of the research, agreement of authors for publication, number of figures and tables, supporting manuscripts, and supplementary information. The Abstract should be informative and completely self-explanatory, briefly present the topic, state the scope of the experiments, indicate significant data, and point out major findings and conclusions. The abstract should summarize the manuscript content in 300 words or less accommodating a description of the study background, methods, results and conclusion. Following the abstract, a list of keywords (3-10) and abbreviations should be included. The introduction should set the tone of the paper by providing a clear statement of the study, the relevant literature on the study subject, and the proposed approach or solution. The Results section should provide complete details of the experiment that are required to support the conclusion of the study. The results should be written in the past tense when describing findings in the authors’ experiments. Previously published findings should be written in the present tense. Results and Discussion may be combined or in a separate section. Only published or accepted manuscripts should be included in the reference list. Meetings abstracts, conference talks, or papers that have been submitted but not yet accepted should not be cited. 2. 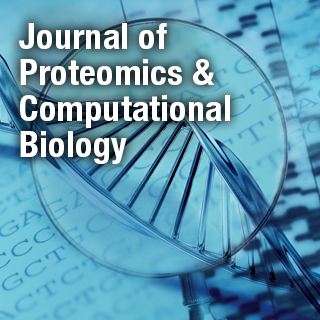 Brusic V, Rudy G, Honeyman G, Hammer J, Harrison L (1998) Prediction of MHC class II-binding peptides using an evolutionary algorithm and artificial neural network. Bioinformatics 14: 121-130. These should be used at a minimum and designed as simple as possible. We strongly encourage author to submit tables as .doc format. Tables should be self-explanatory without reference to the text. Note: If the submission is in PDF format, the author is requested to retain the same in .doc format in order to aid in completion of process successfully. The preferred file formats for photographic images are PNG, TIFF and JPEG. Equations should be encoded in MathML format. Electronic proofs will be sent as an e-mail attachment to the corresponding author as a PDF file. Page proofs are considered to be the final version of the manuscript. With the exception of typographical or minor clerical errors, no changes will be made in the manuscript at the proof stage.